The best contact lens deals are unquestionably found on the internet, but they’re not where most people think they are. There are now dozens and dozens of websites that sell contact lenses online and they all claim to offer the best deals. Are they all telling the truth? Are they all lying? In this article, I will reveal where the best contact lens deals online actually are. Contact Lens Coupon Codes Are Not A Good Deal! Contact lens coupons codes are a tactic used by contact lens websites to bait you into purchasing from them by making you think you are getting a great deal. This tactic works when people operate under the assumption that all contact lens websites have the same or similar prices. So when they see a site that offers 20% off all contact lens orders, they automatically think that they’re found the best deal. The truth is that the prices for contact lenses vary incredibly across different websites. The sites that offer contact lens discount codes have MUCH higher prices to begin with so even after the discounts are applied, you are left paying way more than you would at other sites. Unfortunately, many people fall for this kind of trick. For example, Walgreens is notorious for doing this. If you head over to Walgreens.com and type in contact lenses, you’ll see that they perpetually offer a coupon code for 20% off contact lenses. If you thought that all contact lens websites had the same regular prices, then you would think you just found a great deal. But you would be mistaken. Walgreen’s prices are so inflated, that even with 20% off, you’re still paying twice as much (or more) as other websites. 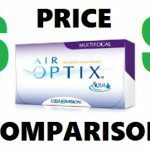 This table compares the price of a year supply of Air Optix Aqua at Walgreens and Lens.com. When you see websites that offer contact lens coupon codes, be very wary. It’s usually a sign that you’re about to get ripped off. 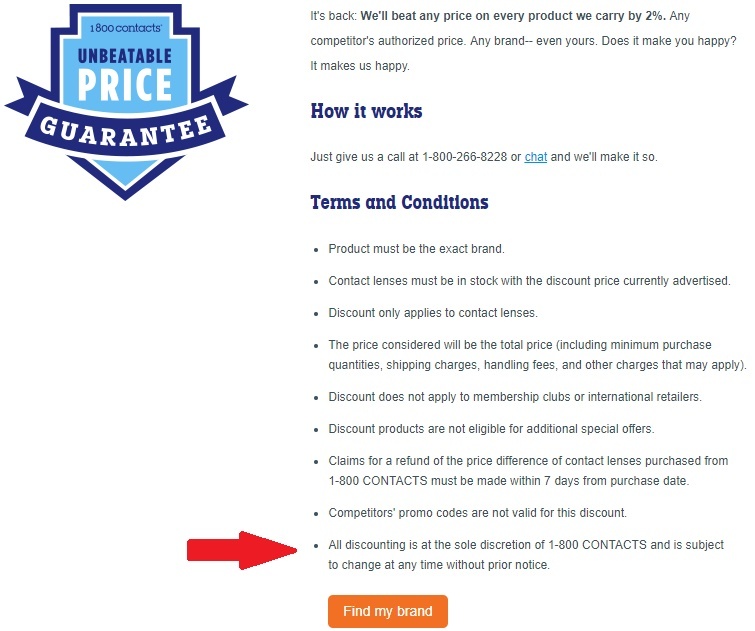 1800Contacts Promo Code Will Not Save You Money! Contact Lens Rebates Are Not A Good Deal! Rebates are antiquated and they’re one of the most transparent scams that big corporations have ever come up with. 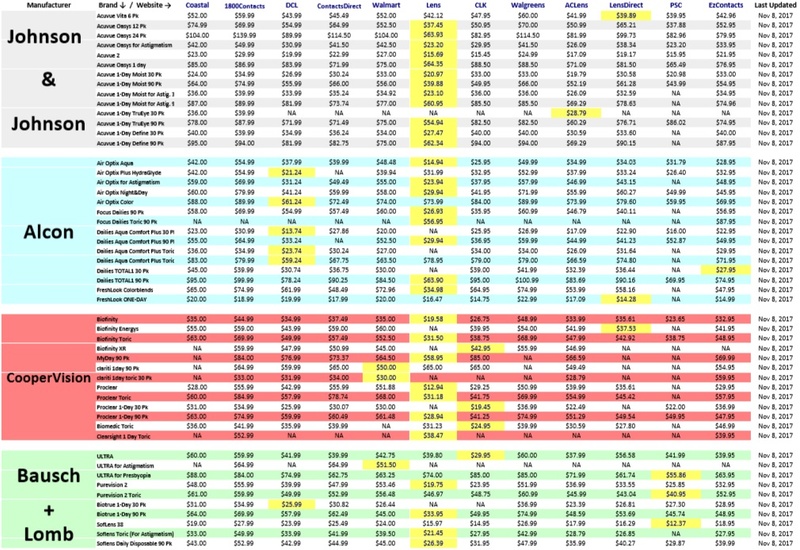 In case you’re not familiar with rebates, this is how they work in a nutshell. You have to purchase something at an inflated price. Once you’ve received your order, you have to fill out a form and send it back to the company. The company then gives you some of your money back. When rebates are offered they are pitched as a quick and simple process, and it serves to sweeten the deal, making you think you’re going to save a lot of money. Of course, the process of claiming your rebate is made intentionally long and difficult, and it’s designed for you to give up on getting our money back. Optometrist offices are notorious for using this tactic to sell to their patients. If you hear the word rebate, don’t take the bait. Save your time and money, there are much better contact lens deals out there. But don’t take my word for it, click on the article below to see review after review of frustrated customers who lost their money to rebates that were impossible to claim. Are Rebates For Contact Lenses A Scam? 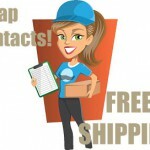 Free Shipping Contact Lenses Is Not A Good Deal! I mean, free shipping is alright, but if you’re paying a highly inflated price for your contact lenses just to get free shipping, it really defeats the purpose. Ideally, the best contact lens deals would be from sites that have really low prices AND free shipping. But just because a site charges for shipping doesn’t automatically mean that you’re not getting a good deal. I can point to several websites that charge for shipping, but still keep the grand total below sites that offer free shipping. Price Match Guarantees for contact lenses can sometimes be a good deal, especially when the policy includes beating any price by x%. There are a few sites out there that claim they will beat any price 2% and even 5%. When you combine these offers with a contact lens price comparison website like Contacts Advice, you are potentially looking at the best contact lens deals out there. Use Contact Advice’s contact lens price comparison to find the lowest regular price for your brand. Head of over to a site that offers to match & beat that price. Although using a 100+% price match guarantee can get you the lowest the price for your contact lenses, there are some drawbacks that you should be aware of. Are they just a bait? 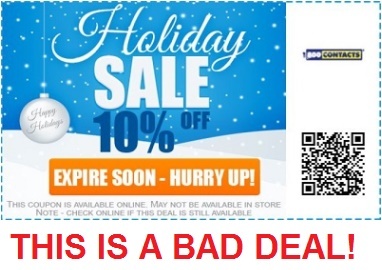 At sites that offer a 102% or 105% price match guarantee, you sometimes have to make a purchase at their regular price first, and then contact them and wait for a partial refund. Often times, the procedure that you must follow in order to claim your price match guarantees is vaguely described, or just completely absent, as is the case for EzContacts. In the case of EzContacts, I see no reason why should have to complete your order with them first, and then request the price match. Once they have your money, they could easily find a reason why their price match policy doesn’t apply to your case, and then you’re left overspending on your contact lenses. The last bullet point should raise a few suspicions. I have never personally used the Price Match Guarantee on any contact lens website, so I can’t tell you how easy or difficult they are to claim. But based on the wording of their terms and conditions, I would be extremely cautious. Locating The Lowest Price Gives You The Best Deal! It’s really just as simple as that. If you find the website that offers your brand of contact lenses at the lowest price, you will be paying less than other sites that charge more and offer you coupons and rebates and other nonsense. I won’t go on and on trying to convince you of this because the numbers speak for themselves. Contacts Advice (the site that you’re on) is primarily a contact lens price comparison website. If you navigate to Contacts Advice’s homepage, you will see a list of contact lens brands followed by a link to the website that sells that brand for the lowest price on the internet. The price is also indicated. I personally update all the prices every week to make sure they stay current. It’s pretty crazy how often contact lens websites change their prices. I have a few theories as to why they do that, but that’s for another time.